If you’re just jumping into our series, we’d like to encourage you to read Part One to learn what you’ve missed. In today’s blog, we’ll be covering the benefits of playtime for your child. As an adult, your life is probably filled with a lot of work. It’s understandable, you have to support your child, spouse, and probably a pet, too. However, for a child, it’s important that they get in as much playtime as possible to help them develop into their own individual. While playtime is fun and enjoyable, it also benefits your child to develop skills they wouldn’t be able to get anywhere else. For example, it’s hard to be yourself, especially if you don’t feel like you fit in. Enrolling in our kids gym will give your child the opportunity to be themselves, make friends, learn communication skills, and sort out conflicts. These skills will help them for the rest of their lives. If you’re interested in learning more about our programs, then contact Hot Ground Gym™ Vernon Hills. In Part One, we went over the first three benefits of playtime: being yourself, communication, and sorting out conflicts. At our kids gym, your child will be able to learn all of this and more. 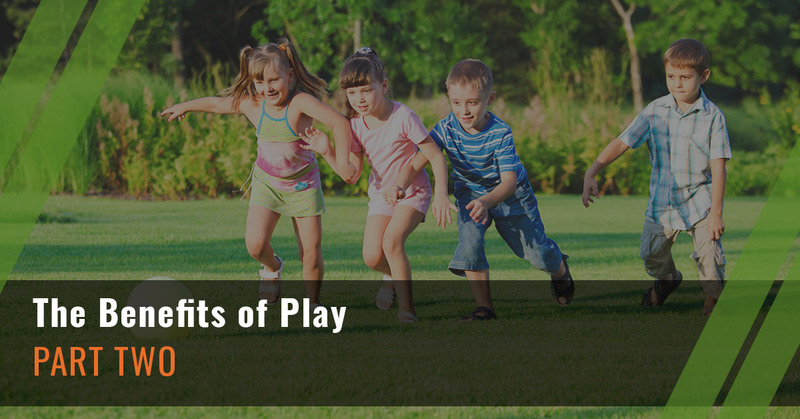 We listed out three additional advantages to allowing your child to play. The added benefit of checking out our gym is that your child will not only get the opportunity to play, but they’ll also be able to get healthier and meet kids their own age. It’s said that laughter is the best medicine for any age. Whether you’re laughing at something a coworker said or an inside joke between friends, laughter will automatically put you in a better mood. It’s also contagious. When one person starts to laugh, it’s impossible to keep a straight face. Playtime will allow your child to laugh and have fun with people their age. At our kids gym, we hear laughter all of the time and we definitely encourage it. Did you know that play has a cognitive effect on the brain? Your child isn’t just growing on the outside, their brain is also developing. Play has a cognitive effect on the brain because it helps with the growth of the cerebral cortex. Additionally, the area of the brain where the memory is also developed. What’s great about play is that it helps your child’s attention span. When your child spends all day in school, it’s important that you find activities that will hold their attention, especially when it comes to the academic career. Lastly, and most importantly, problem solving is something that is learned during play. Similarly to sorting out conflicts, problem solving is focused on at our Junior Boots™ course. Problem solving can be developed because your child is working in a team and need to figure out each activity as part of a group. Your child will need to come up with an action plan that helps to accomplish the mission. This skill will be taken not only into real life with school, but it’ll also be something that helps them through the rest of their life such as when they get to a job where they need to figure out problems and confront them head-on. Are you interested in learning more about our kids gym programs? Reach out today to have any questions answered.